SAGE is an international, leading publisher of 70 titles in Engineering, Materials Science and Computing. The collection includes the 18 journals of the Institution of Mechanical Engineers alongside other essential research from a diverse range of subjects including rehabilitation and assistive technologies, mechanical engineering and polymer materials. The collection now features the leading open access journal in its field, Advances in Mechanical Engineering. Bookmark this page to hear about new journals and news from the Engineering team at SAGE. 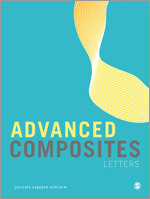 Advanced Composites Letters (ACL) is an open access journal publishing researching the field of science and engineering of advanced composite materials or structures. Submit your paper to one of ACL's Special Collections. 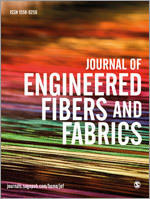 Special Collections are an important component of the Journal of Engineered Fibers and Fabrics. They deal with specialised topics of high current interest which fall within the scope of the journal. They should be organized by recognized experts in the area and attract articles of the highest quality. Special Collection proposals are welcome at any time during the year. 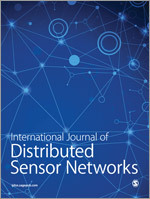 The International Journal of Distributed Sensor Networks Cloud Computing Topic Collection invites research and review papers in the below areas. Visit the landing page to view the latest Open Special Collections, newly published content and our pick of highly cited papers, all on Cloud Computing. 2019 marks the centenary of the Women in Engineering society and SAGE are marking this by highlighting 100 articles written or contributed to by women. We will be casting a spotlight on one article each day between now and International Women in Engineering Day (INWED) on 23rd June as well as sharing blog posts from our partners on topics around women in engineering.